Once again the R & D people at Anthropologie have been inspired by my little blog. 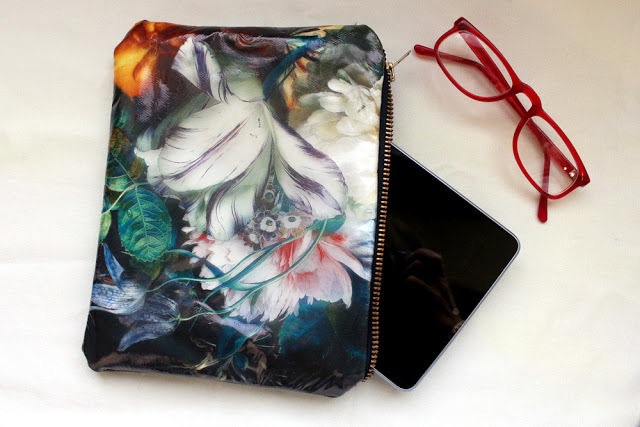 Above is the Still Life iPad Case from Anthro, made from repurposed oil-painted canvases for $248. Each is one of a kind. Below is my Fine Art Tablet Case, made from thrifted fabric and a fabric transfer. There is only one. Dare I say: I prefer yours. I agree with Ashley: I love yours, and I bet the materials didn't cost $248!